Nativity Ski Club Season is almost here! The club is open to all Nativity families (including Parishioners) regardless of experience level. Ski/Snowboard lessons are included in the package. This is a wonderful opportunity for first timers and experts alike. 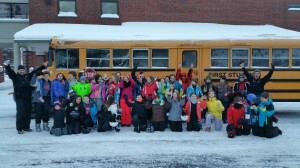 In addition to the group discounted lift tickets, our middle school students (Grade 6-8) also have a bus service option. This has been a time honored tradition and a right of passage at the Nativity School for over 25 years. Although the bus is always chaperoned by an adult, the kids really enjoy lots of freedom. Of our 38 total members last year, 32 of them were Nativity middle schoolers who road the bus. We expect similar to slightly larger numbers this year. 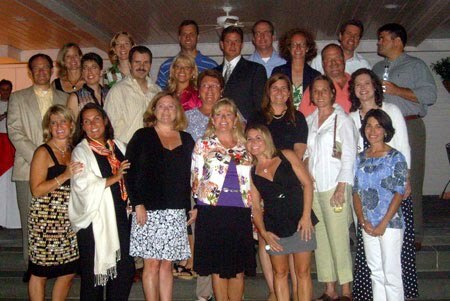 Make checks payable to Nativity HSA. Registration and waiver forms can be found using the link below. Forms/payment are due by Friday December 4th. Please return to the school office c/o Ski Club. "I wish my daughter could experience everything that I did at Nativity of Our Lord School. It made a difference in my life by teaching me the Christian Life as well as how to treat people and think for myself. As a past student, I would like to thank all the teachers, administrators, parents and other students that have played a major role in making me who I am now." Now accepting applications for the 2019-2020 school year.